We had an amazing few days at the SIBA Beer X conference in Liverpool last week. The highlight of the event was the National Beer Awards, which are a culmination of a year’s worth of regional awards. 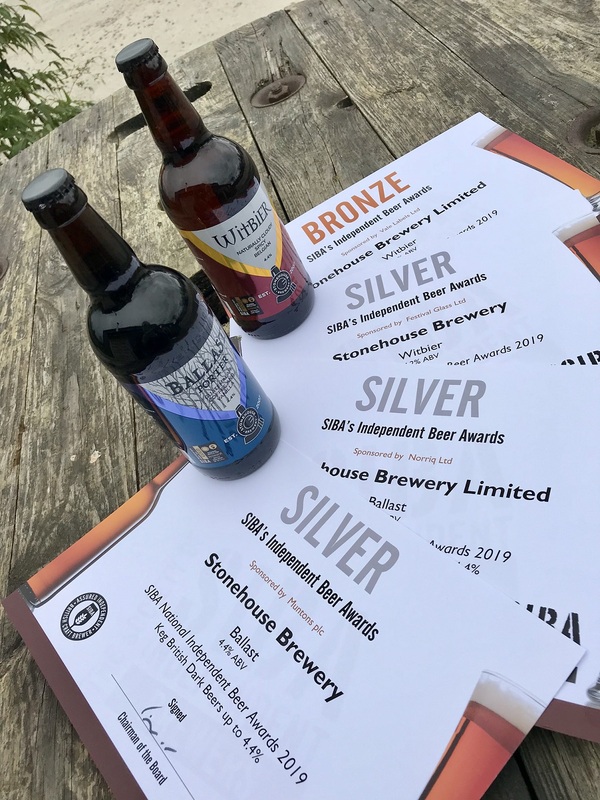 We were really pleased to have a number of beers in the competition, following our fantastic haul of gold awards at the Ludlow SIBA competition last May, and had our fingers crossed for an award or two. So, we were over the moon to win four awards (three silvers and a bronze) in total! With over 2000 breweries in the UK, the competition to have the best beers has never been higher so it is testament to our great team at Stonehouse that we have achieved such wonderful accolades. The awards were for two of our specialist beers. The first, Ballast, is a rich, creamy porter which we brew with Guatamalan coffee and vanilla to give hints of sweetness and bitterness to add to the complexity of the beer. The second, Witbier, is at the opposite end of the beer spectrum. Witbier is a Belgian style wheat beer, brewed with citrus peel and coriander to give a lovely light, refreshing beer, which is especially pleasant in summer. Whilst b0th beers are released seasonally in cask and keg they are often available in bottles for most of the year.